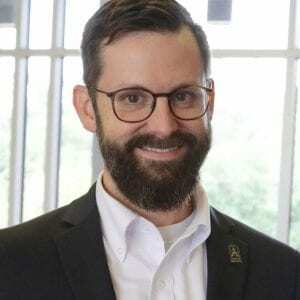 Grant B. Morgan, Ph.D., is Associate Professor in the Quantitative Methods graduate program in the Department of Educational Psychology (EDP) at Baylor School of education, and he is also the Coordinator of the Quantitative Methods specialization graduate programs (M.A. & Ph.D.). He earned a Ph.D. in educational research and measurement from the University of South Carolina and joined the Baylor University faculty in 2012. Morgan’s primary areas of research interest are latent variable models, psychometrics, classification, and nonparametric statistics. Related to these, he has parallel lines of research that involve (1) methodological investigations of advanced models using Monte Carlo methods and (2) applications of advanced quantitative modeling in a variety of areas via transdisciplinary collaboration. Morgan has authored over 70 articles, manuscripts, book chapters, proceedings, and technical reports, and one book to date. His methodological works have been published in such journals as Structural Equation Modeling, Computational Statistics & Data Analysis, Methodology, and Language Assessment Quarterly. His transdisciplinary collaborations have appeared in such journals as Journal of Applied Measurement, Psychological Assessment, Journal of Healthcare Management, and Women’s Health Issues. Morgan has numerous awards and nominations, including three distinguished paper awards from AERA-affiliated organizations, Cornelia Marschall Smith Professor of the Year nomination, and Division D Early Career Award nomination. Morgan is member of AERA’s Division D, Structural Equation Modeling, Multilevel Modeling, and Rasch special interest groups. Morgan previously served as a board member and treasurer of a regional AERA-affiliated organization and is currently serving as board member of another regional AERA-affiliated organization. He has served as a reviewer for NSF’s Directorate for Education & Human Resources and Directorate for Social, Behavioral, & Economic Sciences. He is on the editorial board of the Journal of Psychoeducational Assessment and has reviewed manuscripts for Structural Equation Modeling, Methodology, Multivariate Behavioral Research, and other top-tier methodological journals. Classification, generally, refers to the process of simplifying data by grouping observations that have similarities together. There are many applications of classification in educational and psychological research, and there are many ways to perform classification. My research in this area focuses on the latent variable, or model-based, approach to classification. Psychometrics generally refers to the measurement of psychological phenomena and involves the application of advanced statistical techniques to psychological instruments. My research in this area focuses on providing validity evidence of existing instruments and exploring applications of existing psychometric ideas and models to new measurement scenarios. Ultimately, my research in psychometrics focuses on reaching correct conclusions about the existence and nature of psychological phenomena of interest. Latent variable models involve the examination of one or more theorized but directly unobservable variables, such as ability, intelligence, or achievement. A latent variable cannot itself be directly measured, but instruments may be developed that allow one to observe the manifestation of the latent variable. Models that include one or more latent variables require complex mathematical computation to allow researchers to make decisions from the manifestations of the latent variable. My research in this area is related to the accurate estimation of relationships between latent and observed variables. Dr. Grant B. Morgan, associate professor, published "A Comparison of Diagonal Weighted Least Squares Robust Estimation Techniques for Ordinal Data" in Structural Equation Modeling, Vol. 21, Issue 3, p. 424-438, October 28, 2014, with co-author(s) Dr. Christine DiStefano, University of South Carolina.